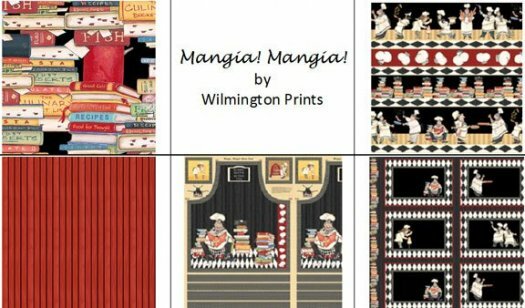 From Wilmington Prints, we received Mangia! Mangia!, a collection of funny chefs that includes an apron panel and a placemat panel. This will be great for adding a touch of whimsy to your home and it will make wonderful gifts. 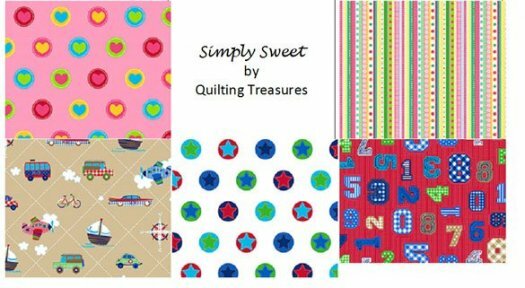 Simply Sweet is a just that, a sweet collection of prints for children's quilts, pillowcases, garments, and more. 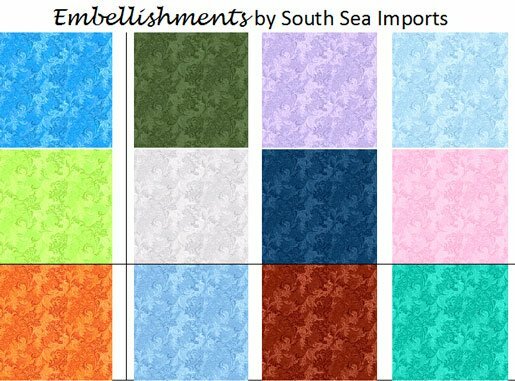 There are more additions to Embellishments by South Sea Imports. This is a beautiful tonal-print collection that will be the perfect complement to bolder prints, or these pieces could be used on their own. 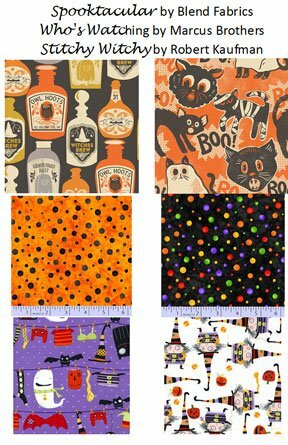 We also have some new flannels and Hawaiian prints, and we are building up quite a gorgeous stash of Christmas fabrics, which we'll be putting out next week! Crazy Quilt Group, Mon, July 1, 10:30 a.m. - 1:30 p.m.
Imperial Blooms BOM, Tue, July 2, 9:00 a.m. - 1:00 p.m.
Imperial Blooms BOM, Sat, July 6, 9:00 a.m. - 1:00 p.m.
Women of Courage BOM, Tue, July 9, 9:00 -10:00 a.m. Sit & Sew, Thu, July 11, 1:00 - 5:00 p.m.
Women of Courage BOM, Sat, July 13, 9:00 -10:00 a.m.
Gardener's Alphabet BOM, Mon, July 15, 9:00 a.m. - noon. Provence & Beyond BOM, Thu, July 18, 6:00 - 7:00 p.m.
Blankets for Preemies, Fri, July 19, 11:00 a.m. - 3:00 p.m.
-OR- Tue, July 23, 1:00 - 4:00 p.m.
Hand Piecing, Tue, July 23, 9:00 - 11:00 a.m.
American Girl Doll Sit & Sew, Wed, July 24, 1:00 - 4:00 p.m.
Sue Spargo's Felted Wool Needle Case, Judy Cummings, Thu, June 27 and July 11, 9:00 a.m. - noon, -OR- Sat, July 6 and July 27, 1:30 - 4:30 p.m., $20. Have you seen all of our beautiful felted wool sample projects and wanted to learn the techniques used to make these pieces? This is the class for you! In these two sessions, you'll learn how to applique wool pieces to a wool background and then Judy will teach several beautiful, simple embellishment techniques. And, you'll have a unique, usable needle case! Kits will be available for purchase. Just bring your scissors and a thimble, if you need one.